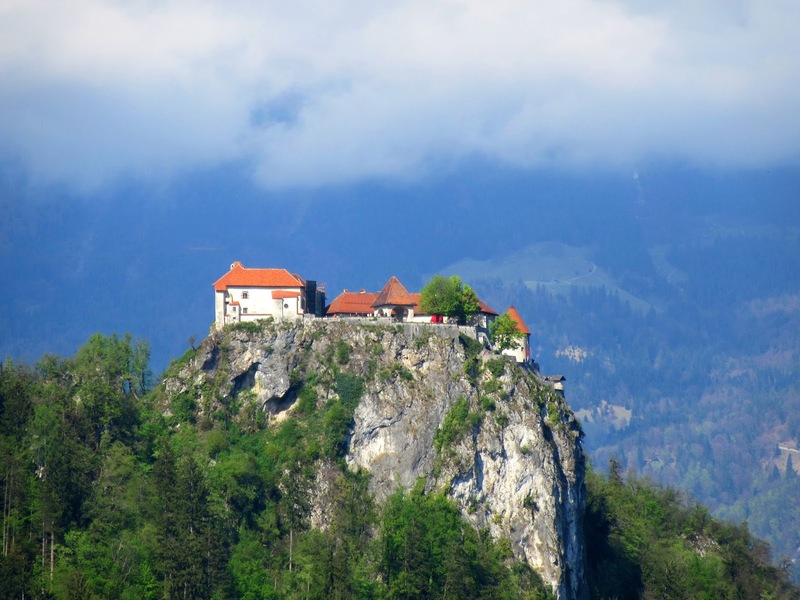 Sheltered by mountains and mother nature, as we journeyed from one country to another, we had arrived in Bled. It was our ninth day in Europe and The Alps were still in sight, travelling alongside us like a friendly companion. Every now and again, I would stop what I was doing to appreciate their immense masculinity, I felt comforted by them almost, as if its invisible arms were protecting me, shielding me from the world beyond its walls. I felt connected to them, as if we were conversing telepathically, transmitting our love and energy to one another, through plants and trees and fields of grass, like a Mexican Wave. I knew that they were apart of me, and we were travelling together. As we stepped of the bus in Bled, the sun was warm and the air was fresh, and the surrounding area was calm and pleasant. Friendly locals greeted us as we made our way towards the hostel, and I instantly felt welcome. I was glad to be visiting in Spring, as I imagined the Summer to be crammed with tourists, spoiling any chance of peace. Our hostel, Castle 1004, sat at the top of a hill, overlooking the alluring, alpine resort. We stepped into the cabin-like home, accompanied by a welcoming atmosphere. The hostel was small and cozy, the dorm rooms were clean and simple, and the staff were friendly and relaxed. They gave us a good induction on Bled and recommended some great places to eat (including a pizza restaurant less than a minute walk!). We were also given a wristband for discounts at bars and restaurants, in Bled. Once we had settled into our room and claimed a bed each, we decided to go and check out the pizza restaurant. The pizza was and still is, one of the best pizza's I have ever had. The beer was tasty, the restaurant was comfortable and the staff were very friendly and polite. I loved this place so much that I asked the chef if I could take a picture of him. Two pizzas, two beers and two hours later, the sun had set and we were full, so we wandered around the quiet streets of Bled. It looked so beautiful at night, particularly the castle above, as it sat on the edge of a cliff dominating the town completely. I couldn't wait to go to bed, wake up early and explore the next day. We were only staying in Bled for one night and wanted to see as much of the town as we could, so we packed our bags and went to check out. As we were about to leave, the staff invited us along on a gorge walk at Triglav National Park. The park was only a 10-15 minute car journey and cost 4 Euros to enter, which was totally worth it. A few Canadians (including a girl called Paula) and a guy from Serbia who were also staying at Castle 1004, came along as well. We all felt like we were on a school trip, cozied up in a minibus together, wearing waterproofs and hiking boots, it was quite exciting. Triglav N.P was beautiful, even if it was raining the whole time we were there, it seemed to add to the experience. I strolled through the gorge slowly, taking my time to appreciate it. It was so peaceful and soothing, the only sounds I could hear was the flow of water below and the surrounding wildlife communicating to one another. After wandering through nature for an hour or so, we came to a pretty, little waterfall. As Jack, Paula and I admired the works of nature together, we swapped stories about our lives back at home, and as this was our first backpacking trip, Paula shared some tips and advice from her previous trips. I enjoyed sharing a part of Triglav with her, she was passionate, inspiring and full of life. After a fews hours of wandering in nature, we headed back to the hostel and checked out. As our train wasn't leaving Bled until 8:00pm, and it had only just turned noon, it was time to explore the town. First, we tried a traditional cake in Bled, known as Kremna Rezina, which was a delicious pastry stuffed with cream and custard. It was so bloody big that I decided to save half for the train journey later on. After coffee and cake, we wandered around the shops and market stalls. We met a lovely, Slovenian man called Milan Juvan who sold handmade jewellery. He told us a beautiful story about his passion for making it, how he spends 6 months of the year in Greece searching for different stones, and how he eventually turns them into jewellery. The story was so inspiring that I bought a shell necklace, with a tiny moonstone attached. Milan explained to us how he created it, and what it was that made the shell so special and unique to him, which made me want it all the more. As the sun pushed its way through the clouds, Bled came to life. We decided to commit to the two hour walk around the lake, which took us five hours instead, as we spent the entire time floating about in our own individual bubbles, barely talking, not thinking, and not worrying, just living in the moment. How adorable are these swan shaped boats? As we came to end of our stroll and the end of our time in Bled, we were sad to say goodbye. For such a short time spent here, I felt like we covered a lot of ground. It was one of my favourite places on our trip and I would love to come back one day. But for now, I say goodbye to Bled and hello to Slovenia's capital, Ljubljana. 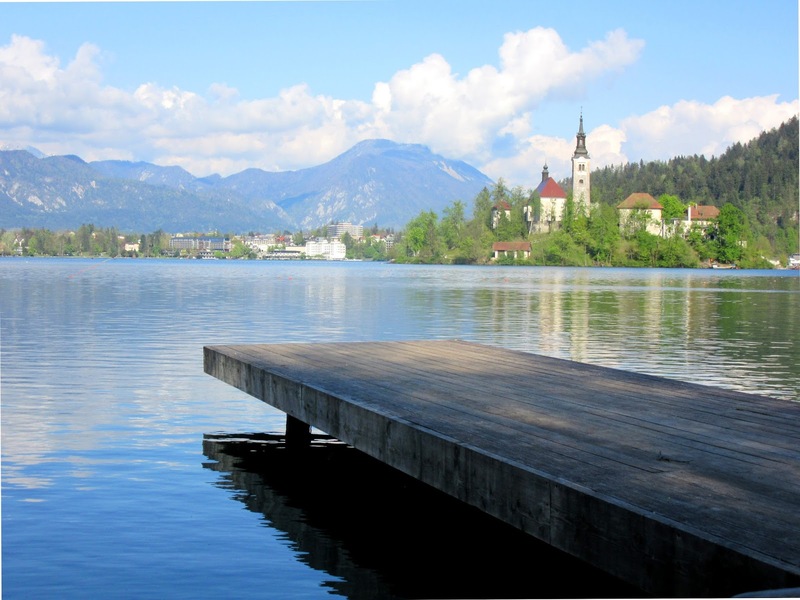 Lake bled is really amazing place for travel. Though I know that but after seeing these attractive photos, I just so excited to visit this place as soon as possible. 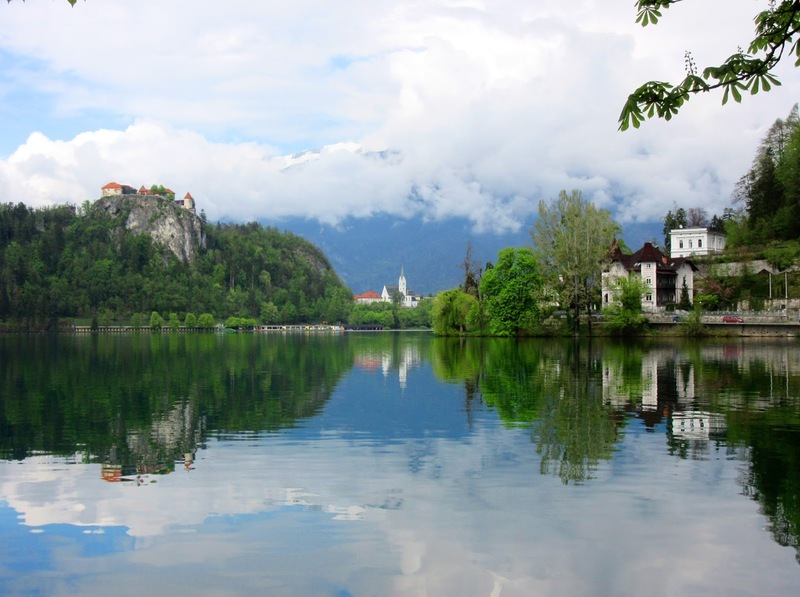 Can you please tell the the costing to visit Lake bled?